'We must fall back upon the old axiom that when all other contingencies fail, whatever remains, however improbable, must be the truth.' Sherlock Holmes's fearless chronicler Dr Watson once again opens his notebooks to bring to light eight further tales of some of the strangest and most fascinating cases to come before the enquiring mind of London's most famous detective. 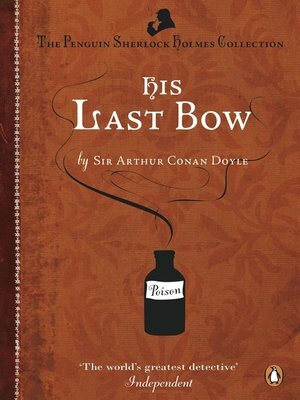 These mysteries involve the disappearance of secret plans as well as of a lady of noble standing; the curious circumstances of Wisteria Lodge and of the Devil's Foot; as well as the story His Last Bow, the last outing of Holmes and Watson on the eve of the First World War.